Zen teacher Norman Fischer takes you through the principles and practices of the major schools of Zen Buddhism. 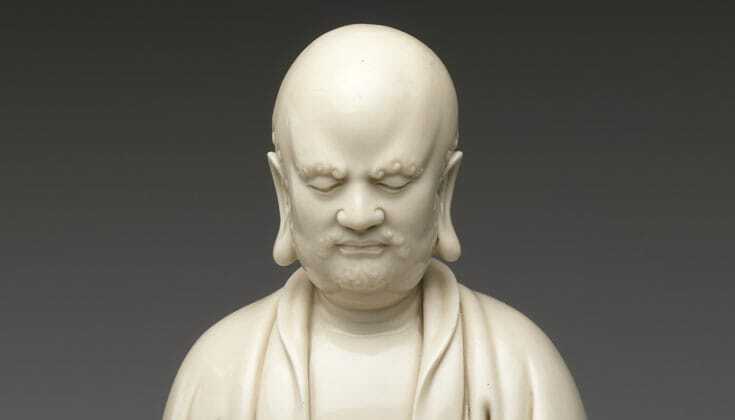 Chan Patriarch Bodhidharma. 17th century China. Porcelain with ivory glaze. Via The Metropolitan Museum of Art. The word “Zen” is the Japanese pronunciation of the Chinese “Ch’an,” which means “meditation.” Ch’an came to Japan and became “Zen” around the eighth century. Today, the word “Zen” is in more general use in the West. What are the characteristics of Zen Buddhism? Zen Buddhism is a stripped-down, determined, uncompromising, cut-to-the-chase, meditation-based Buddhism that takes no interest in doctrinal refinements. Not relying on scripture, doctrine or ritual, Zen is verified by personal experience and is passed on from master to disciple, hand to hand, ineffably, through hard, intimate training. Though Zen recognizes — at least loosely — the validity of normative Buddhist scriptures, it has created its own texts over the generations. 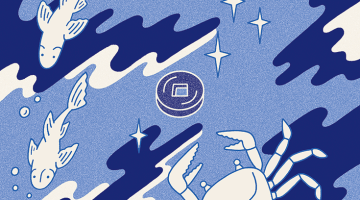 Liberally flavored with doses of Taoism, Confucianism, and Chinese poetry, and written in informal language studded with Chinese folk sayings and street slang, much of classical Zen literature is built on legendary anecdotes of the great masters. The Buddha is rarely mentioned. No dependency on words and letters. Pointing directly to the human mind. This shoot-from-the-hip Zen spirit appeals to the American mind, which is as iconoclastic and anti-authoritarian as it is religious. It has also appealed, over many generations, to millions of Buddhist practitioners in the Far East, who, conditioned by the Taoism and Confucianism that had been imported everywhere from China, could relate to the Zen message and style. What are the methods of Zen practice? Although Zen Buddhism eventually developed traditions of study and ritual, its emphasis on personal experience has always made it a practice-oriented tradition. The practice is meditation. “Sitting Zen” (Japanese: zazen) has always been central in Zen training centers, where monks rise early each morning for meditation practice and do long retreats consisting of many, many silent unmoving hours on the cushion. What is Zazen? It literally means “sitting Zen.” Put simply, it’s “seated meditation” as done in the Zen style — upright in good posture, paying careful attention to breathing in your belly until you are fully alert and present. Zazen is an intensely simple practice. It is generally taught without steps, stages, or frills. “Just sit!” the master admonishes, by which he or she means, sit upright in good posture, paying careful attention to breathing in your belly until you are fully alert and present. This sense of being present, with illumination and intensity, is the essence of zazen, and although there are many approaches to Zen meditation, they all come back to this. In the Zen monastery, life is entirely organized around sitting in the meditation hall. 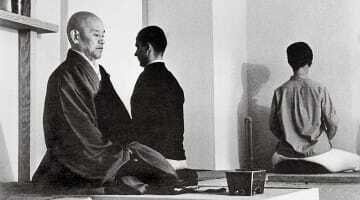 But zazen is also understood to be something more than this sitting. It is conceived of as a state of mind or being that extends into all activities. Work is zazen; eating is zazen; sleeping, walking, standing, going to the toilet — all are zazen practice. 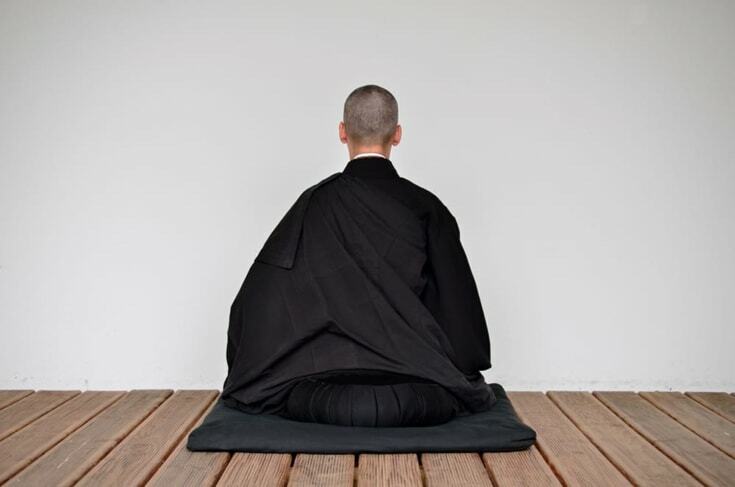 In Soto Zen, the Japanese school practiced extensively in the West, there is an especially strong emphasis on this “moving Zen.” Soto monastic life tends to be highly ritualized, so as to promote concentration in all things. There is, for instance, a special elegant and mindful practice, called oryoki, for eating ritualized meals in the meditation hall. 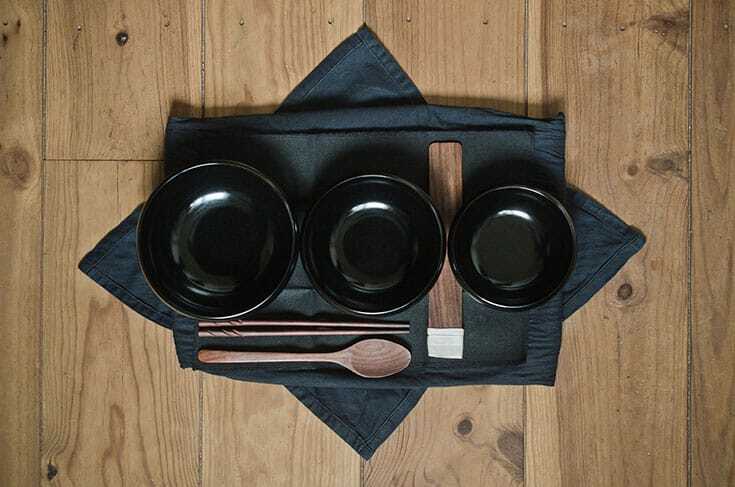 Oroyoki set. Photo by David Gabriel Fischer. This practice is usually done in the context of an intensive retreat led by a qualified Zen koan teacher, whom the practitioner visits for private interviews. The student presents their understanding of the koan (however lame it may be) and receives a response from the teacher (however understated it may be) that reorients the search. Eventually, with luck, diligence and a few judicious hints, the koan’s essence is penetrated. Like all systems, the koan system can degenerate into a self-protective and self-referential enclosure. It’s the teacher’s job to see that this doesn’t happen, but sometimes it is not preventable. There are many different systems of koan study, but most of them emphasize humor, spontaneity, and openness. The koan method is, at its best, a unique and marvelous expression of human religious sensibility. How did Zen Buddhism come to be? Through the centuries, India, the first Buddhist country, gradually spawned hundreds of sects and sub-sects, and thousands of scriptures, and tens of thousands of commentaries on those scriptures. When Buddhism spread over Central Asian trade routes to China, all this material came at once. The Chinese had long cherished their own twin traditions of Confucianism and Taoism and were resistant to ideologies introduced by barbarians from beyond the borders of the “Middle Kingdom.” There was also a severe linguistic challenge for the Chinese in digesting the Buddhist message from abroad. The Sanskrit language was so different from Chinese in sensibility and syntax that translation was almost impossible. Gradually, Indian and Central Asian Buddhism began to be reshaped by its encounter with Chinese culture. This reshaping eventually led to the creation of Zen, an entirely new school of Buddhism, which eventually became by far the most successful school of Buddhism in China, Korea, Japan and Vietnam. If Zen is its own school, who was its founder? Norman Fischer. Photo by Laura Trippi. “I don’t know,” Bodhidharma replied, turned on his heel and left the court, to which he never returned. He repaired to a distant monastery, where, it is said, he sat facing a wall for nine years, in constant meditation. A single disciple sought him out, and to test the disciple’s sincerity, Bodhidharma refused to see him. The disciple stood outside in the snow all night long. In the morning he presented Bodhidharma with his severed arm as a token of his seriousness. The monk became Bodhidharma’s heir, and thus began the Zen transmission in China. So, at least, the story goes. Zen schools are more or less divisible into those that emphasize a curriculum of verbal meditation objects — like koans — and those that do not. Emphasizing daily life practice as zazen, Soto Zen centers generally do not work with a set koan curriculum and method, though koans are studied and contemplated. Because of this, Soto Zen has sometimes been criticized by the koan schools (the best-known of which is the Rinzai school of Japan) as dull, overly precious, and quietistic, in contrast to the dynamic and lively engagement of the koan path. But the koan way also has its critics, who see the emphasis on words, meaning, and insight as working against real non-conceptual Zen living. Koan training systems also have the disadvantage of fostering competition and obsession with advancement in the system. It is remarkable how essentially similar the various teachers within a particular Zen “dharma family” can be in personal style and mode of expression, even though, paradoxically, each one is quite distinctive and individualistic. Zen Buddhism has had a long and varied history in several different Far Eastern cultures. Each culture has produced a tradition that is recognizable as Zen, but differs slightly from all the others. Vietnamese Zen is the one most influenced by the Theravada tradition. It tends to be gentle in expression and method, to emphasize purity and carefulness, and to combine Zen with some Theravada teaching and methodology. In China, Zen eventually became the only Buddhist school, inclusive of all the others, so contemporary Ch’an includes many faith-based Mahayana practices that existed initially in other Buddhist schools, especially faith in and repetition of the name of Amida Buddha, the savior Buddha who will ensure rebirth in an auspicious heaven to those who venerate him. Especially stylized, dramatic, and austere, Korean Zen includes prostration practice (repeated, energetic full-to-the-floor bows of veneration) and intensive chanting practice, and has a hermit tradition, something virtually unknown in Japanese Zen. Within each of the Asian Zen traditions there are several schools, and within schools the styles of individual teachers often differ greatly. Still, it is remarkable how essentially similar the various teachers within a particular Zen “dharma family” can be in personal style and mode of expression, even though, paradoxically, each one is quite distinctive and individualistic. This uncanny fact — radical individuality within the context of shared understanding — seems to be an indelible feature of Zen. This story, however historically unverifiable, represents the beginning of the Zen transmission, said to start directly with the Buddha. The story tells us two things: first, although the Buddha taught many true and useful teachings and techniques, the essence of what he taught is simple and ineffable. Holding up a flower is one expression of this essence. Second, the very simplicity and ineffability of this essential teaching requires that it be handed on in a lineage from master to disciple in mutual wordless understanding. There can’t be a Zen training program with exams and certifications, with objectives, goals and demonstrable, measurable mastery. That the teacher is to be appreciated as a realized spiritual adept and at the same time as an ordinary individual with rough edges and personality quirks seems to go to the heart of Zen’s uniqueness. While Zen practice can be done without benefit of a teacher, having a teacher is important, and, in the end, crucial if one is to realize the depth of Zen practice and make it completely one’s own. Although the Zen teacher must embody Zen and express it in all their words and deeds, a Zen teacher is not exactly a guru, a Buddha archetype at the center of a student’s practice. To be sure, respect for and confidence in the teacher is essential if one is to undergo the transformation in consciousness that Zen promises. But the Zen teacher is also an ordinary, conditioned human being, simply a person, however much they have realized of Zen. This paradox — that the teacher is to be appreciated as a realized spiritual adept and at the same time as an ordinary individual with rough edges and personality quirks — seems to go to the heart of Zen’s uniqueness. Through the relationship to the teacher, the student comes to embrace all beings, including himself or herself, in this way. It was typical in the early days of the transmission of Zen to the West for teachers of different lineages to be scornful of each other. There were centuries of tradition behind this prodigious failure to communicate. In Asia, lineages through the generations tended to be separate and usually of opposing congregations. Thankfully, in the West there is now much more sharing between the various lineages. In recent years in America, two organizations have been created to promote warm communication between the Zen lineages: the American Zen Teachers Association, which includes teachers from all lineages, and the Soto Zen Buddhist Association, which is made up of teachers of the various lineages of Soto Zen, the largest Zen tradition in the West. A Zen wave broke on North American shores in the middle of the twentieth century. It probably didn’t begin as a Zen wave at all, but rather as a reflex to the unprecedented violence the first part of the century had seen. After two devastating world wars, small groups of people here and there in the West were beginning to realize, as if coming out of a daze, that the modernist culture they had depended on to humanize and liberalize the planet wasn’t doing that at all. Instead it was bringing large-scale suffering and dehumanization. What was the alternative? In the early 1950’s, D.T. Suzuki, the great Japanese Zen scholar and practitioner, arrived at Columbia University in New York to teach about Zen. The people who met him, attended his classes, or were otherwise influenced by his visit constitute a Who’s Who of American cultural innovation at that period. Alan Watts, whose popular books on Zen were hugely influential, was there. So was John Cage, who from then on wrote music based on chance operations, on the theory that being open to the present moment, without conscious control, was the essence of Suzuki’s — and Zen’s — message. Cage influenced Merce Cunningham, the dancer-choreographer, who in turn influenced many others in the performance art field. The Zen-derived notion of spontaneous improvisation became the essence of bebop, the post-war jazz movement. For Allen Ginsberg, Jack Kerouac, Gary Snyder, Philip Whalen and the other Beat-generation poets, Zen was a primary source, a sharp tool for prying the lid off literary culture as they knew it. Within ten years, lively Japanese Zen masters were coming to America to settle. With the 1960’s and the coming of age of a new generation radicalized by the Vietnam war and psychotropic drugs, what had been churning underneath for decades broke out in a glorious and exhilarating spray. The first Zen centers in America were bursting with students willing to make serious commitments right away. It was an exciting and confusing time, perhaps unprecedented in the history of world religions. By the mid-1980s, the Zen traditions of China, Korea, Japan, and Vietnam had all been transmitted to America. I’ve said above that Zen Buddhism is essentially monastic and depends on the intensive practice of sitting meditation. In the West, however, most Zen practitioners are not monastics. While this may seem strange, it is not at all strange if we consider “monastic” to be an attitude and a level of seriousness, more than a particular lifestyle. Unlike Zen laypeople in Asia, whose main practice is often to support the monastic establishment, Western Zen lay practitioners wish to practice it, regardless of what their life circumstances may be. In this sense, all Western Zen students are “monastic,” regardless of their life circumstances. All of them do some form of monastic-style training within the context of their lay lives: they sit meditation regularly, either at home or at a local temple, attend retreats and live their daily lives with full attention (or at least coming as close to this as they possibly can). 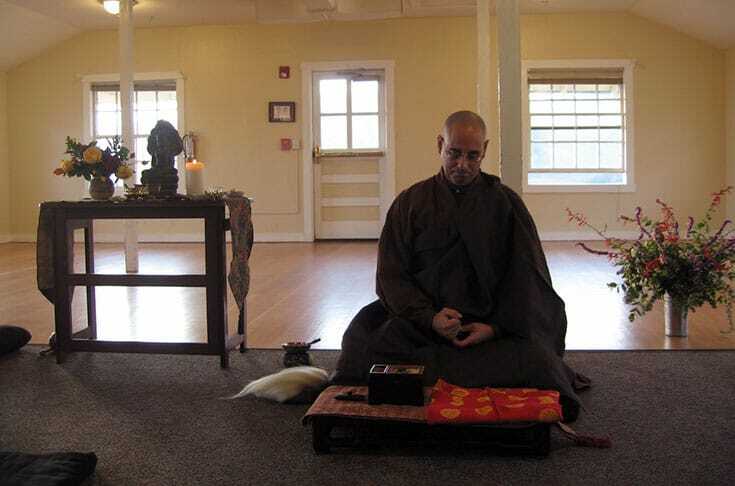 They take lay or priest vows, and even sometimes enter monastic training at one or more Zen centers for periods of time. While there is a great deal of variety among the many American Zen centers, in general their programs are open to the public, encouraging all who want to practice Zen at whatever level they wish to practice, but emphasizing committed, ongoing practice — gradually entered into — as the main road. For someone who is interested in taking up Zen practice in America, the approach is not difficult: surf the web or the phone book, find the location and schedule of the Zen establishment nearest to you, show up, and keep showing up as long as it suits you. Eventually you will learn the formalities of the local Zen meditation hall (most groups offer special instruction for beginners), and if you feel comfortable you will continue to attend meditation when you can. Eventually you will sign up for dokusan (private, intense, formal interview with a teacher). At some point you will hear about a one-day sesshin (meditation retreat) and you’ll try it out. You’ll no doubt find it a daunting and at the same time uplifting experience. After some time you’ll be ready to attend a seven-day sesshin, and that experience will feel like a real breakthrough to you, regardless of how many koans you do or do not pass, or how well or poorly you think you sat. Sesshin is a life-transforming experience, no matter what happens. What will all this effort do for you? Everything and nothing. From there, if you continue, you will deepen your friendships with other practitioners. These relationships will seem to you, oddly, both closer and more distant than other relationships in your life. Closer because the feeling of doing Zen practice together bonds you deeply, and more distant because you may not exchange personal histories, opinions and gossip as you might do with other friends. As time goes on you will establish a relationship with one or more of the local Zen teachers, and you will find these relationships increasingly warm and important in your life, so much so that perhaps some day you will want to take vows as a lay Zen practitioner, joining the lineage family. If you go on practicing, as the years go by you may attend monastic training periods at one of the larger centers. If your life permits, you might want to stay at this center for a while — perhaps for many years, or for the rest of your life, eventually taking on the teachers and lineage there as your primary lineage. Or you may come back home and continue your ongoing practice, going back to the larger training center from time to time for more monastic experiences. Or, if it is impossible for you to get away from your family and work life for longer than a week at a time, or if you do not want to do this, you will continue with the practice of week-long sesshin, and that will be enough. It is also possible that you do not ever want to go to week sesshin, and that Zen classes, one-day retreats, meetings with the teacher from time to time, and the application of all that you are learning to the daily events of your life is the kind of practice you really need for your life, and that nothing more is necessary. What will all this effort do for you? Everything and nothing. You will become a Zen student, devoted to your ongoing practice, to kindness and peacefulness, and to the ongoing endless effort to understand the meaning of time, the meaning of your existence, the reason why you were born and will die. You will still have plenty of challenges in your life, you will still feel emotion, possibly more now than ever, but the emotion will be sweet, even if it is grief or sadness. Many things, good and bad, happen in a lifetime, but you won’t mind. You will see your life and your death as a gift, a possibility. This is the essential point of Zen Buddhism. Our natural mind is clear, simple, and ordinary. The practice of Zen meditation, says Susan Murphy, is simply to abandon anything extra. Then the ordinary reveals its magic. 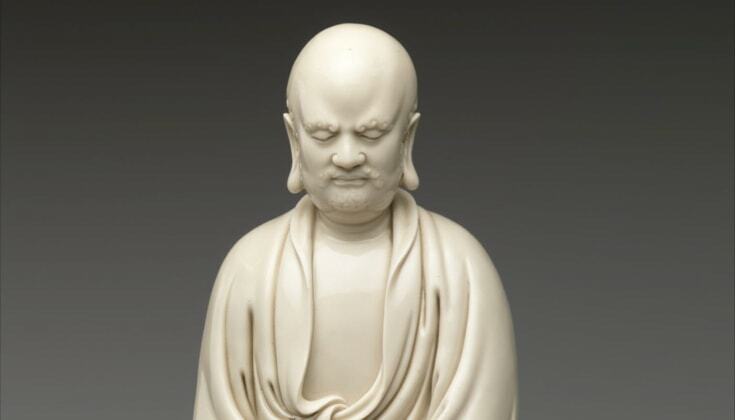 He’s renowned as the First Ancestor of Zen, but who was he really? Andy Ferguson journeys through China with author and translator Red Pine in search of the historical Bodhidharma and evidence of his original teachings. 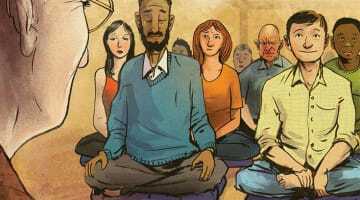 Lin Jensen tells how meditation’s surprising first lesson still resonates with him. “I like to tell people to leave preparation aside and just bring readiness to a retreat,” says Karen Maezen Miller. Eeek! Eeek! Eeek! the bird cried. It! It! It! And the world as Peter Coyote had experienced it ended. Forty years after his first sesshin, the actor and writer finally gets the point of Zen.